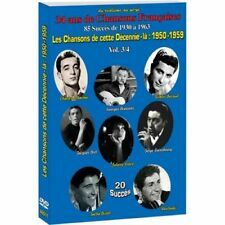 (DVD "Les chansons de 1950 - 1959". NEUF SOUS BLISTER. Plus d'informations surles formats DVD/Blu-ray. ). Date de sortie du DVD : 6 juillet 2015. Release Date: 1959. It is NOT supplied with a hard plastic DVD case. DVD Chansons de cette décennie-là : 1950-1959, vol. 3 - Charles Aznavour,Georges Brassens. Charles Aznavour,Georges Brassens. Acteurs : Charles Aznavour, Georges Brassens, Gilbert Bécaud, Jacques Brel, Juliette Gréco. Big Joe Tuner – Shake Rattle & Roll. ROCK N ROLL LEGENDS 1954 To 1959. Everly Brothers – Wake Up Little Susie. 124 Minutes 35 Songs DVD Includes Audio Re-Mastered in Surround Sound. Elvis Presley – Hound Dog. 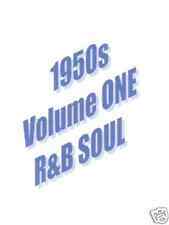 SOUL RHYTHM & BLUES 1953 To 1959. Big Joe Tuner – Do You Want To Jump Children. 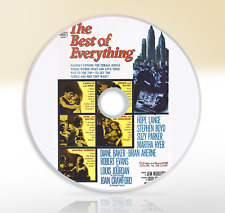 115 Minutes 39 Songs DVD Includes This DVD is Re-mastered In Surround Sound. This DVD is NTSC formatted. Audio Re-Mastered in Surround Sound. YOU ASKED FOR IT VOL. 1 DVD NEW SEALED TV'S NEVER OPENED 1950-1959 B&W 117 MIN. This is an unopened dvd and it will make a great addition to your collection. Good luck to all. In the 1950's, 60's and 70's, John Tate travelled to all the great international motor racing events. Robert Mitchum stars in this classic 1950s Western based on Tom Lea's novel. The cast also includes Albert Dekker, Jack Oakie and Charles McGraw. We cannot show the item as a gift, as second hand or at a lower price. But Darby must match his wits against the shrewd little trickster in order to get the gold. We cannot show the item as a gift, as second hand or at a lower price. The Order reference number. CONDITION : NEW & SEALED. THIS IS A GENUINE UK RELEASE BLU-RAY. 1950s Great British Movies DVD (2014) Dirk Bogarde NEW Title: 1950s Great British Movies Leading Actor: Dirk Bogarde Region: Region 2 Format: DVD / Box Set Type: DVD No. Boxset of four classic films from the 1950s. Seven Samurai [DVD] . Title:Seven Samurai [DVD] . All of our paper waste is recycled within the UK and turned into corrugated cardboard. Your item will be previously owned but still in great condition. Dr. Warren Chapin (Vincent Price) has made a surprising discovery -- the spine-chilling sensation that people get when scared is due to a parasite that he dubs the "tingler.". Soon the tingler that killed the woman is on the loose. The Untouchables - The First Series Collection. Featuring the episodes: 1. The Empty Chair / 2. Ma Barker and Her Boys / 3. The Jake Lingle Killing / 4. The George 'Bugs' Moran Story / 5. Ain't We Got Fun / 6. If they scream, the Tingler can be destroyed. If they don't, it will sever the spinal column and kill them. He successfully isolates and removes the Tingler from a deaf mute (Judith Evelyn) who has been scared to death by her devious husband. Directed by Richard Quine. 91 minutes. English or Spanish audio with optional Spanish subtitles. This is disc only so no artwork or box. LILI. Leslie Caron. Hi Lili Hi Lo musical (1953). Region free. New sealed DVD. Leslie Caron. Hi Lili Hi Lo musical. Region free. New sealed DVD. 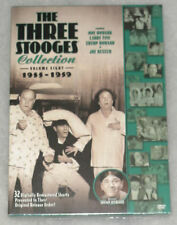 This is the official USA Warner Archive release which are manufactured by them on DVD-R. Starring: Joan Fontaine, Joseph Cotten, Francoise Rosay. CAST: Joan Fontaine, Joseph Cotten, Francoise Rosay. Through a quirk of fate, they are reported dead in a crash though they weren't on the plane. Winner of BAFTA for Best British Film 1960. SCREENED-AWARDED AT: BAFTA Awards, Edgar Allan Poe Awards. Run time minutes - 74 - A classic Universal tale of monsters and sci-fi from the 1950s. Determined to recapture the beauty of her youth, a vain woman stumbles upon an elixir that will restore her beauty and give her the secret of eternal youth - but only when it is mixed with blood taken from the newly dead! Coleen Gray, Grant Williams (The Monolith Monsters), Gloria Talbott and Phillip Terry star in this Edward Dein directed sci-fi. Based on the play by J.B. Priestley, this British mystery follows Inspector Poole (Alastair Sim) as he investigates the apparent suicide of Eva Smith (Jane Wenham), a young working-class woman. An Inspector Calls. P B Whitehouse and J Adams with the National Railway Museum York. Railway Rounabout 1959. (This dvd will only work in the USA if you have a multi region DVD player). Jean Kent, Guy Rolfe. The Reluctant Widow. An 18th-century British governess (Jean Kent) inherits a house being used by traitors and spies for Napoleon. DVD-R 1950. Film Movie. This film is in the Public Domain. "HELL DRIVERS",REGION B BLU RAY DISC,VIEWED ONCE,PLAYS PERFECT,1957 CULT MOVIE. "A MUST IN ANY STANLEY BAKER`S FAN`S COLLECTION" "VERY WELL DONE RESTORATION". "GREAT BOOKLET ENCLOSED". Our mistake! 'New Products. How do i know my item is on its way ?. What should I do?. We're very sorry if this is the case. I have received my item but I no longer require it?. We cannot show the item as a gift, as second hand or at a lower price. 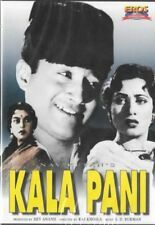 SPECIAL FEATURE: Original Theatrical Trailer. The Order reference number. To play it you will need a region free or multiregion player. Notes: New and sealed. Official and genuine Region 2 release from Italy. 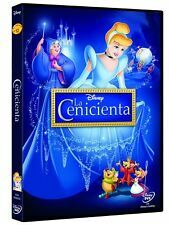 Disc contains the original English language version without forced subtitles and the dubbed Italian version. ATTACK OF THE 50FT WOMAN. (1958) Allison Hayes. Region free. 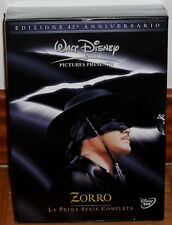 New sealed DVD. ATTACK OF THE 50FT WOMAN. (1958) Allison Hayes. UK compatible. New sealed DVD. 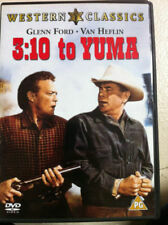 This is the official USA Warner Archive release which are manufactured by them on DVD-R. Invasion USA. This is a Multi-Region (Region 0/ALL) DVD, and should play on most DVD players in the world. This item has been produced by ourselves and will be neatly presented on. International Standard. In 1920s Australia, Paddy Carmody (Robert Mitchum) is a roaming Irish sheepherder who loves his nomadic lifestyle. Release Date: 1950. It is NOT supplied with a hard plastic DVD case. We do not use cheap stick-on labels. 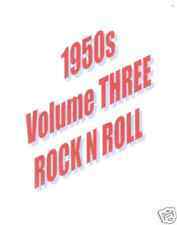 (DVD "canciones de 1950-1959". Más información sobreFormatos de DVD/Blu-ray. ). Fecha de sortie du DVD : 06 de julio de 2015. Zone DVD zone 2. Format DVD. NUEVO EN BLISTER. EDAD DE ORO DVD DE FÓRMULA UNO DE 1950-1959.